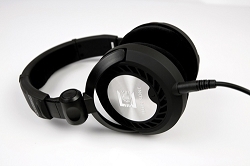 Ultrasone certainly brought some fresh air to the market of pro-audio headphones with original products that are very appealing compared with the standard tools from Beyer, AKG or Sennheiser. 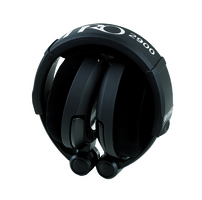 In fact, the sound signature of this Pro 2900 will surprise many users with its extreme low-end and sharp high-end. But you'll quickly come to understand that these features are real advantages because this pair of headphones emphasizes exactly the information that is inhibited by the other headphones. I'm not sure of whether these are the ideal headphones if you're looking for absolute sound neutrality, however they are already a reference. No surprise with these headphones: they are Ultrasone! The low-end response is just mind-blowing: you get very low frequencies and hear details you can't hear with the other products in our test. The frequency response is everything but linear: overemphasized lows and a nice boost at 3-4kHz. The exact opposite of the AKG and their much more linear frequency response. The Ultrasone can be surprising in the beginning, thus I recommend you to try them out before buying them, especially considering their price. Personally, I find these headphones are not very comfortable and the ear-cup cushions tend to fall down. I recommend this product for tracking and to complement compact monitor speakers, so that you can check the low-frequency range. 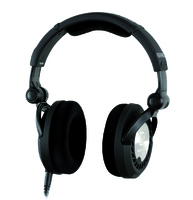 If you want to mix with headphones for hours, I recommend you to choose the AKG or the Beyerdynamic. 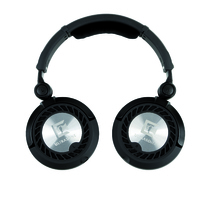 This Ultrasone are excellent headphones. In this price range, they belong to the best I've ever tried. 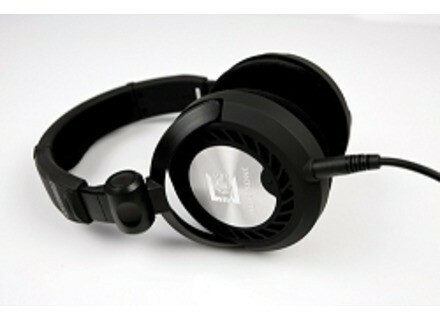 I highly recommend these headphones for tracking and to fine-tune a mix made mainly with monitor speakers. 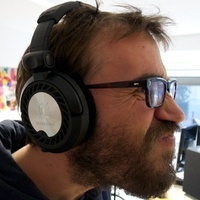 On the other hand, if you work mainly with headphones, I would not recommend them for long sessions, due to their weight and sharp high-frequency reproduction. I wouldn't recommend them either if you want to listen to music for long periods. And don't forget their emphasizing sound. It seems you have to know these headphones very well if you want to make a good job with them. In fact, they remind me of the Beyerdynamics DT770 from our review of headphones under $150: they sound very good but don't meet the requirements for long listening sessions; unless you already have ear loss in the high-frequency range.